Jessica Litman questions whether copyright laws crafted by lawyers and their lobbyists really make sense for the vast majority of us. Should every interaction between ordinary consumers and copyright-protected works be restricted by law? Drawing on social movement theory and science and technology studies, the author Hector Postigo presents case studies of resistance to increased control over digital media, describing a host of tactics that range from hacking to lobbying. This open coursebook is an introduction to intellectual property law, the set of private legal rights that allows individuals and corporations to control intangible creations and marks, and the exceptions and limitations that define those rights. In this concise introduction, Peter Suber tells us what open access is, how it benefits authors and readers, how we pay for it, how it avoids copyright problems, how it has moved from the periphery to the mainstream, and what its future may hold. The book covers the ways in which intellectual property laws have been used to privatize all forms of expression. Kembrew McLeod challenges the blind embrace of privatization as it clashes against our right to free speech and shared resources. Intellectual property issues are getting more and more attention these days. It is worth spending some time considering how intellectual property rights (IPR) developed and what role they play in achieving widely shared objectives. The book maps the emerging field of A2K activism as a series of historical moments, strategies, and concepts. It gathers some of the most important thinkers and advocates in the field to make the strategies at play in this new domain visible. 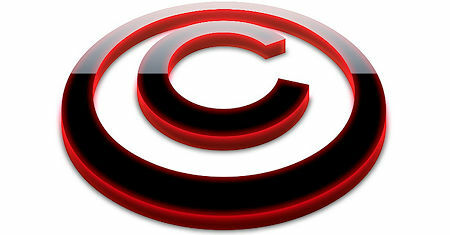 The author argues that the existence of patents, copyrights and trademarks are contrary to a free market. They all use the state to create artificial scarcities of non-scarce goods and employ coercion in a way that is contrary to property rights. In this book the author describes the range wars of the information age - today's heated battles over intellectual property. He argues that every informed citizen needs to know at least something about intellectual property law.